Hives are very common... and very frustrating. These red, itchy welts are an allergic skin reaction. But we rarely know what has triggered a case of hives. And, for some people, hives can pop up daily for weeks, months, even years. While antihistamines and other allergy pills will help control symptoms, these have potential side effects and are costly, over time. There really are very few treatment options for hives. And there's no cure. But I have some good news. A very common vitamin - one that also improves bone strength and immunity - may provide relief for chronic hives. The report by Jill Poole, MD, associate professor at the University of Nebraska Medical Center, appears in the Annals of Allergy, Asthma and Immunology. Dr. Poole's report gives yet another reason to add this vital vitamin to your wellness regimen. In the 12-week study, Dr. Poole and her associates enrolled 42 people with chronic hives (aka, urticaria). They randomly selected the participants to take vitamin D3 daily - either 4,000 IU or 600 IU. They also took three medications that doctors routinely prescribe for hives (one prescription and two over-the-counter drugs). After just one week, the patients' symptoms decreased dramatically - by 33%. Those who took the stronger dose of vitamin D3 had yet another 40% in symptom relief - for a total of 77% reduced symptoms. The hives virtually disappeared when patients took 4,000 IU daily of vitamin D3. It's not a cure, but that high dose of vitamin D3 did reduce the number of welts. And it decreased the number of days the patients had hives. That's a big step forward in treating this very troublesome condition. 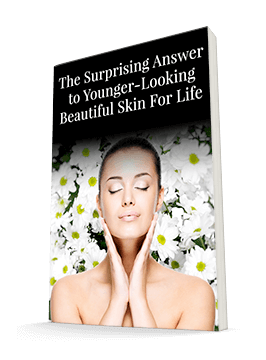 If you suffer from chronic hives, or even get them occasionally, a healthy dose of vitamin D3 will help boost your immunity to fight and eradicate the welts. If you are suffering with hives, you may want to take 5,000 IU of Vitamin D3 daily for three months and see if this helps. 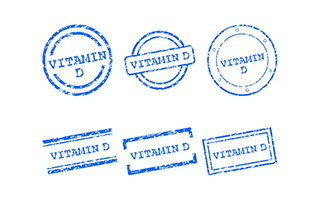 Some dermatologists now measure patients' serum vitamin D levels prior to treatment. Most individuals with a tendency toward hives are more likely to have either low-normal or subnormal blood levels of vitamin D. It also helps to get a daily dose of vitamin D-stimulating sunshine, which can provide up to 10,000 IU daily. Is this too much? Studies say no. It's what your body needs to fight disease - including hives.